I made this Nightmare Vine farming guide to help out players who want to farm the herbs instead of buying them from the Auction House. Nightmare Vine does not appear to grow any place in particular, it can be seen out in the open as well as tucked in between rocks. 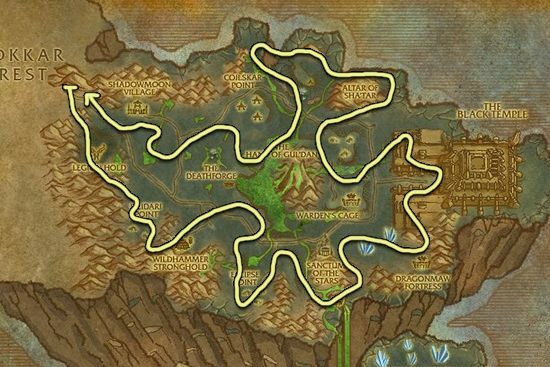 Nightmare Vine can be found in Shadowmoon Valley, which is actually the only place where you can farm this herb effectively. You can also find Nightmare Vine at Forge Camp: Wrath and Forge Camp: Terror in Blade's Edge Mountains and Throne of Kil'jaeden in Hellfire Peninsula, but only 2-3 nodes.